Standard cancer treatments suppress the immune system and often cause psychological distress and depression, which also decreases immune function and may cause hormonal disturbances, including dysregulation of the adrenal hormone, cortisol. Cell-mediated immunity (CMI) is critical for protection against a host of pathogens to which cancer patients may be particularly vulnerable. CMI is also important for defense against some tumors. In a study on 72 women with metastatic breast cancer, women with depression and/or elevated evening cortisol levels (a sign of stress) had suppressed immunity towards Candida and other common antigens. 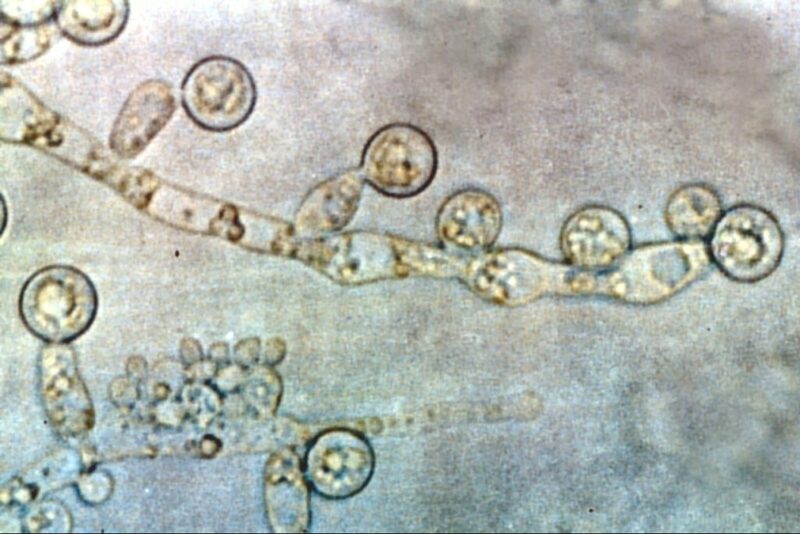 In another study of 120 women with breast cancer, oral yeast was found in 66% of the women, with Candida albicans being the most common species detected (in 46% of the women). The wearing of dentures increased the likelihood of oral Candida in these women. Epidemiology of candidemia in oncology patients: a 6-year survey in a Portuguese central hospital. Depression, cortisol, and suppressed cell-mediated immunity in metastatic breast cancer. Antifungal activity of tamoxifen: in vitro and in vivo activities and mechanistic characterization. Antibacterial, antifungal, and anticancer activities of volatile oils and extracts from stems, leaves, and flowers of Eucalyptus sideroxylon and Eucalyptus torquata. Phagocytosis of Candida albicans by metastatic and non metastatic human breast cancer cell lines in vitro. Candidemia in women with breast carcinoma treated with high-dose chemotherapy and autologous bone marrow transplantation.